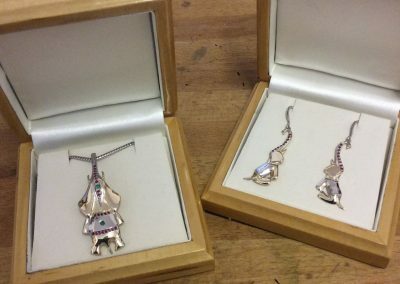 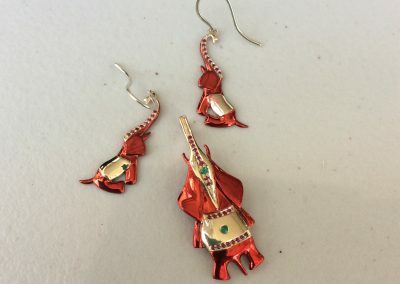 This elephant jewellery collection was made for a 60th birthday present for someone who loves to travel and had a love of elephants keeping many elephant decorations around the house. 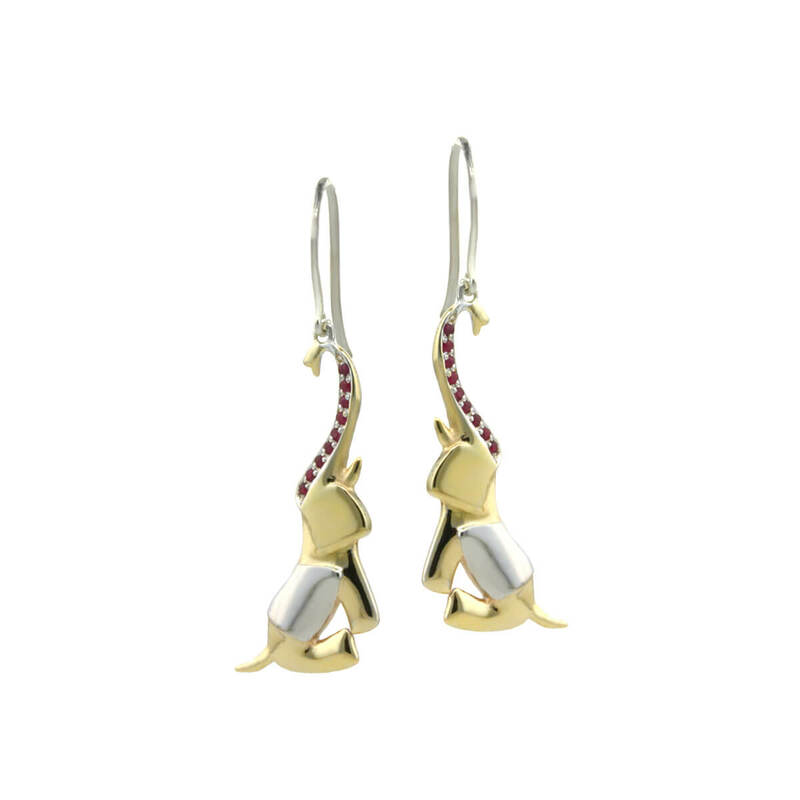 The birthday gift had to be for everyday wear with a particular love of emeralds to be included in the designs. 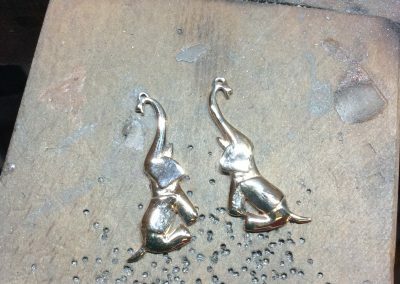 I chose to research into the decorated elephants of Burma as part of the birthday present was also a holiday in Burma. 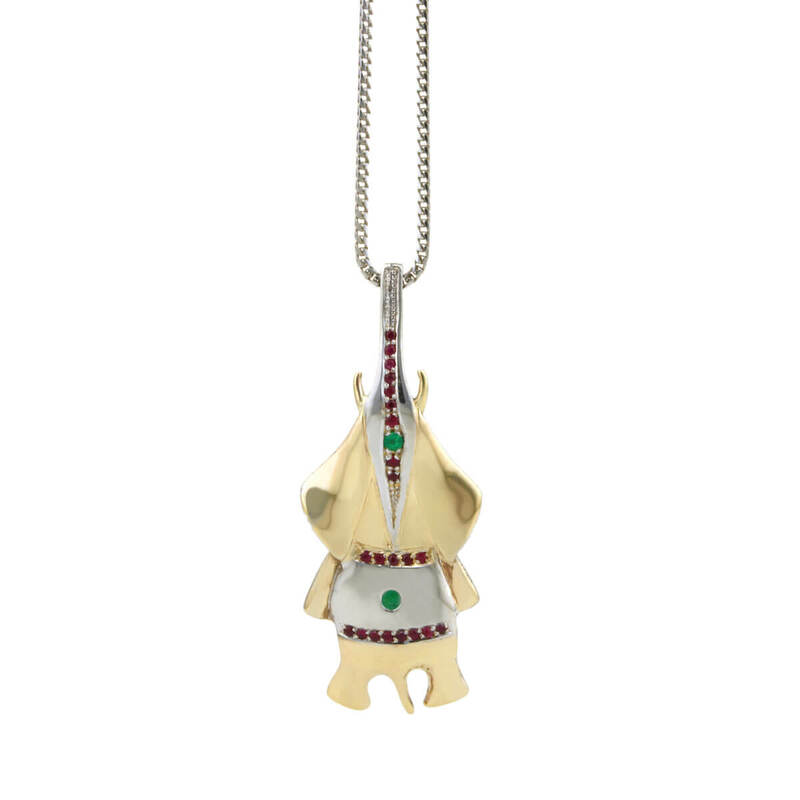 The trunk and saddle would be the perfect areas to set the emeralds and rubies. 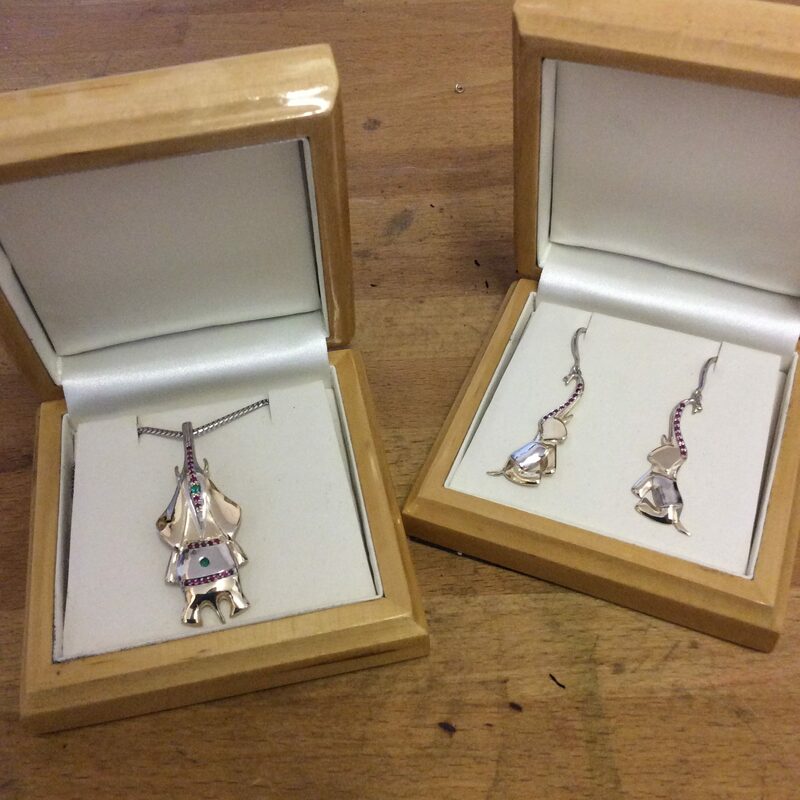 All set in delicate grain settings these would make a great feature on the pendant and earrings. 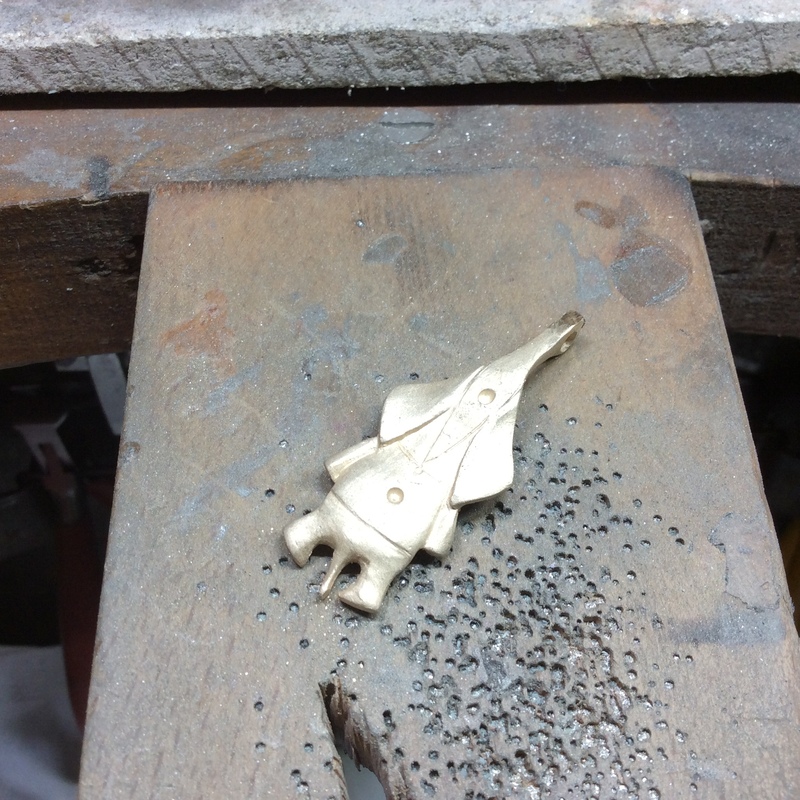 The elephant pendant was carved by hand in wax. 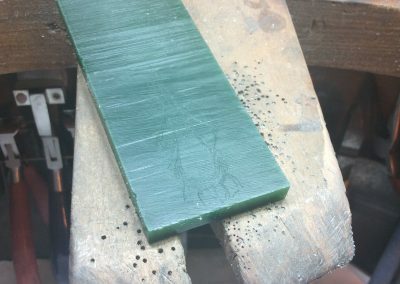 I choose a green wax for its strength. 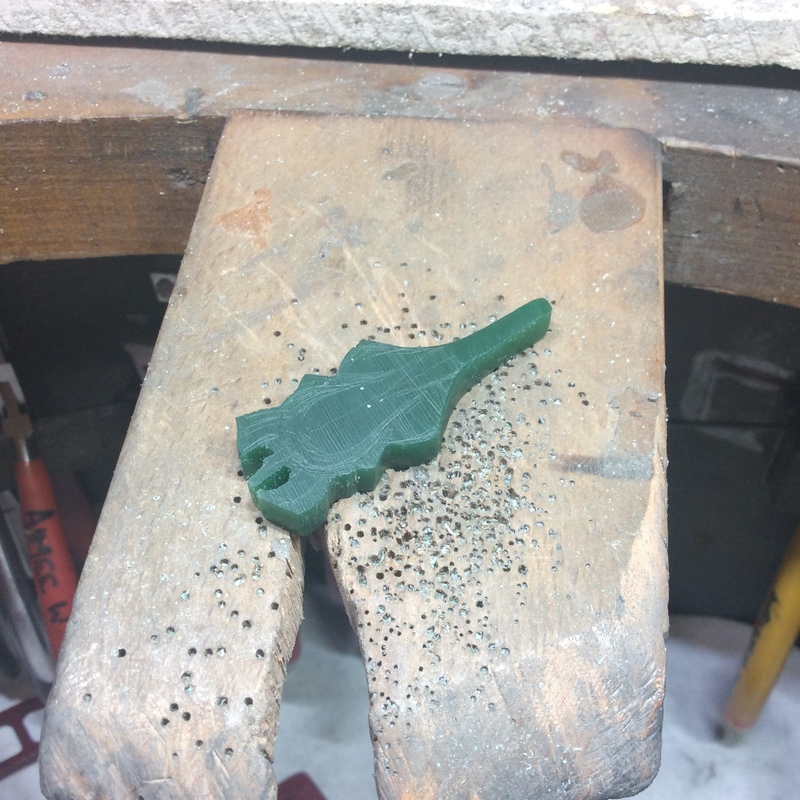 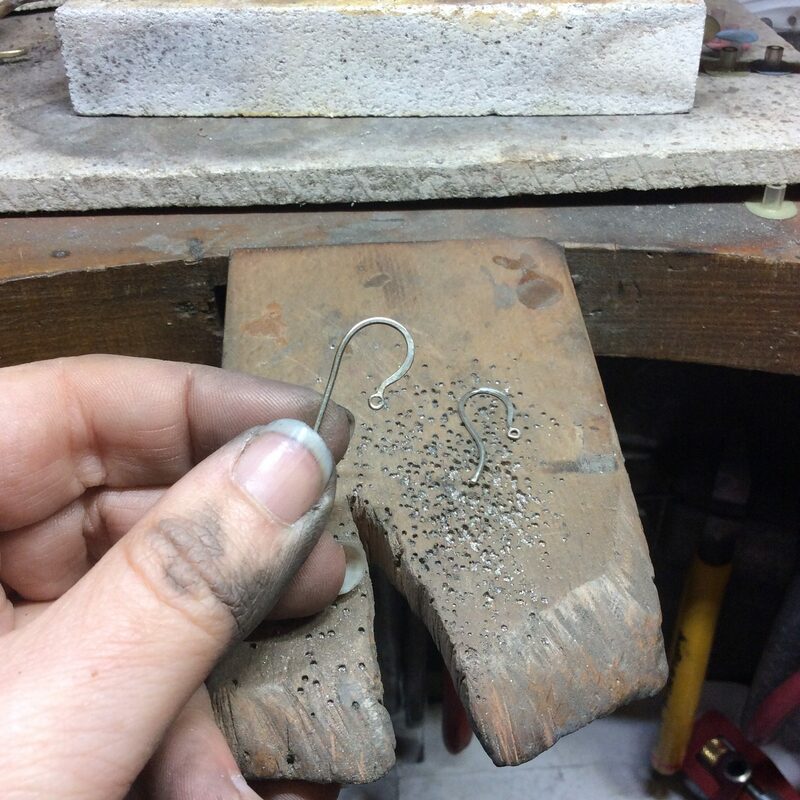 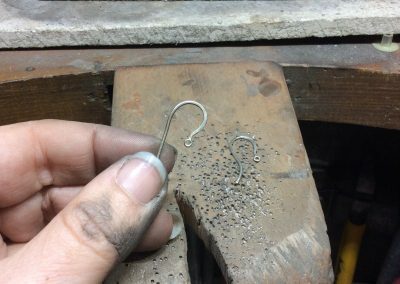 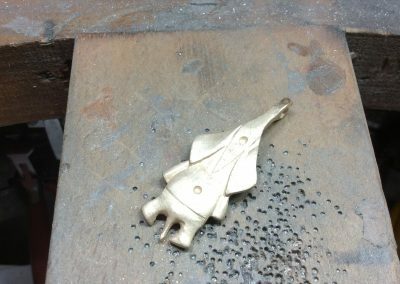 The wax was then sent off for casting in 9ct yellow gold. 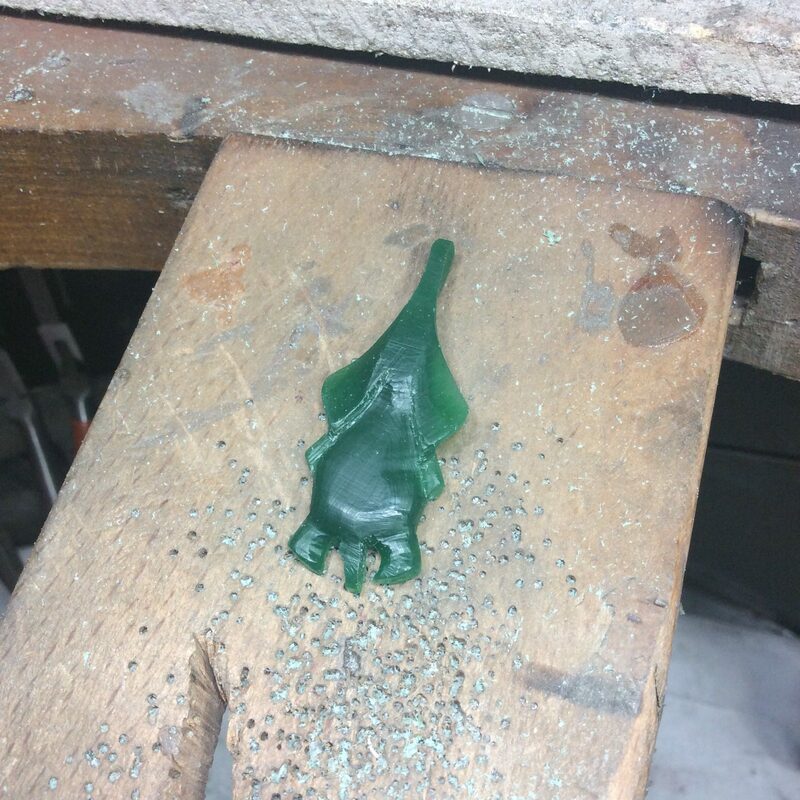 During this process, I chose to have a cold mould made as well. 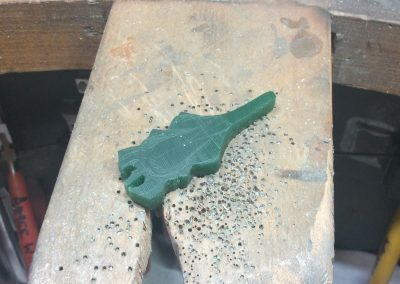 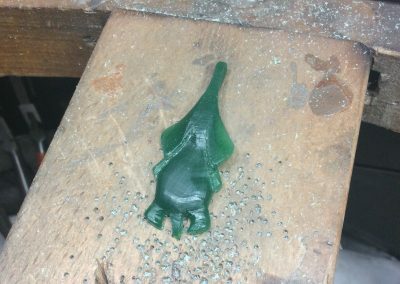 Whenever I have spent a long time creating a wax piece I usually have the cold mould made in case there is any casting disaster resulting in having to start again. 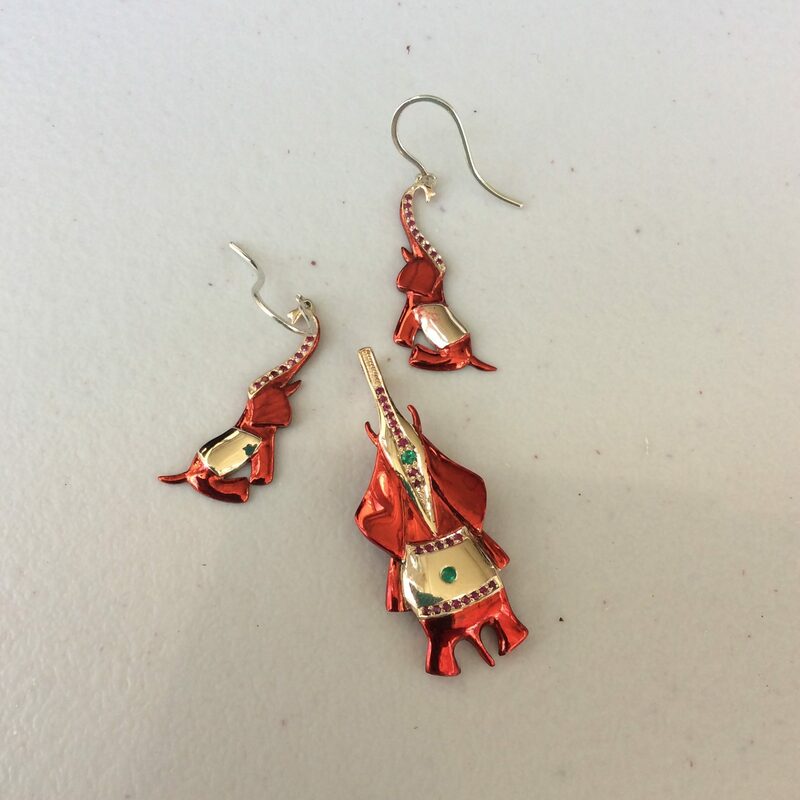 The earrings were designed using a CAD computer program, each piece was then 3d printed and cast in gold. 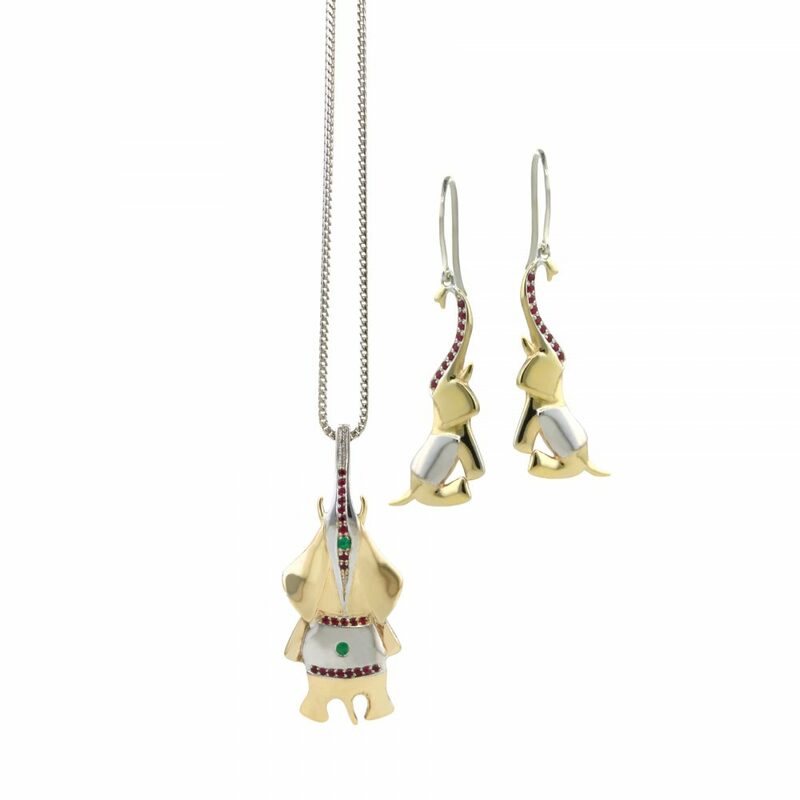 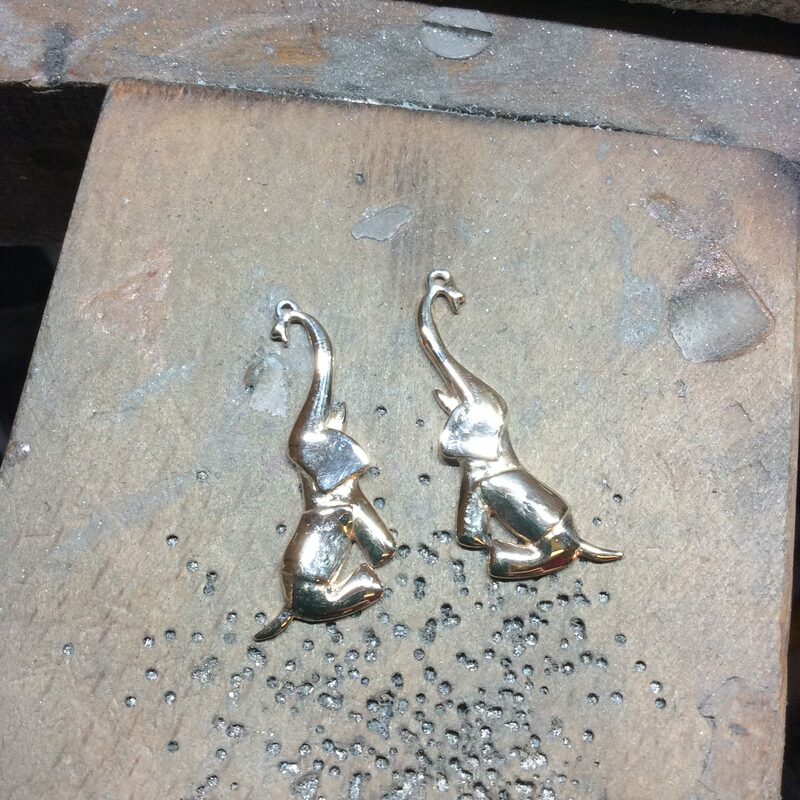 Once the elephant pendant and earrings were in a gold form I could clean, polish and send it for hallmarking. 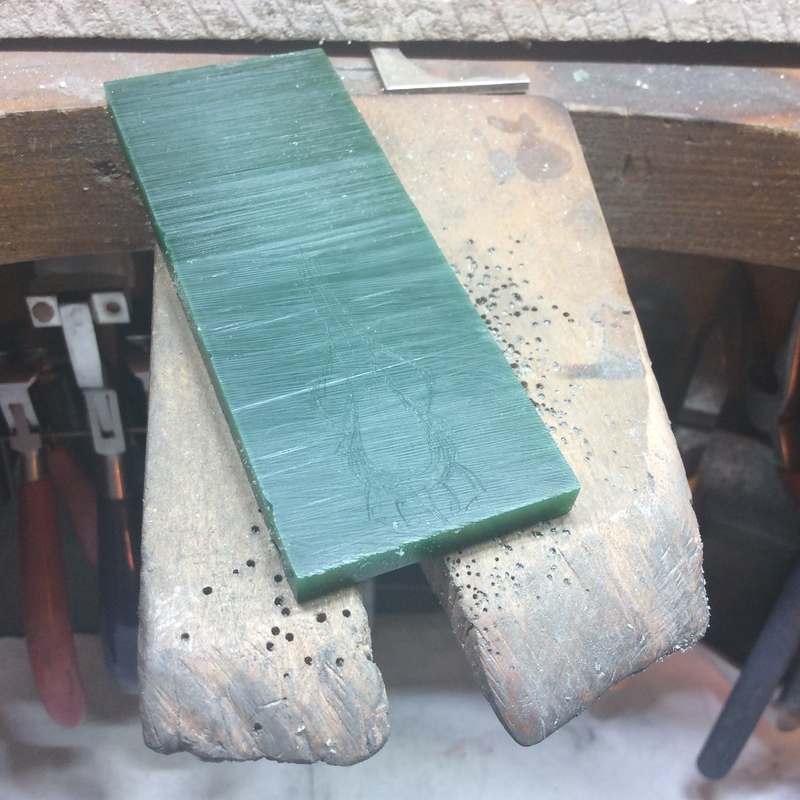 On their return the emeralds and rubies were set along the trunk and saddle. 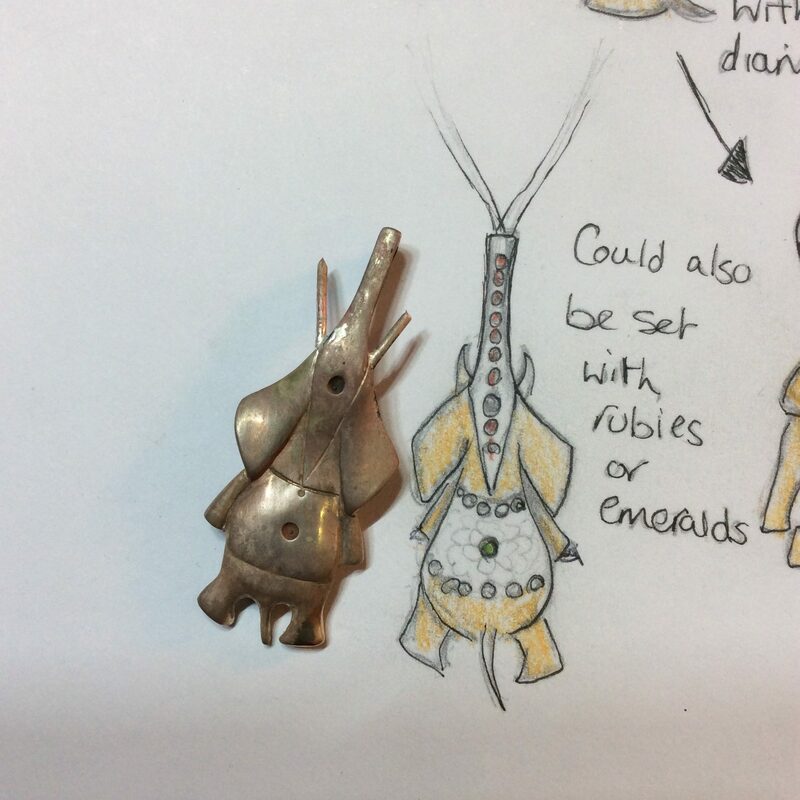 The final stages of hand making this elephant jewellery collection were to mask off everything I wanted to stay a yellow colour. 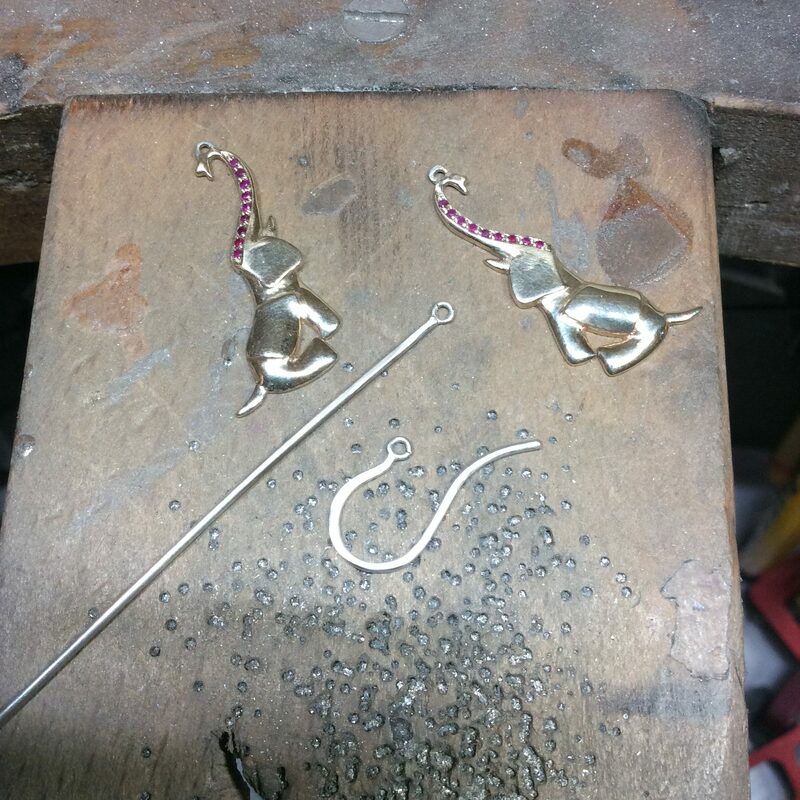 All surfaces left would be plated white with rhodium, I used a red resist pen to do this. 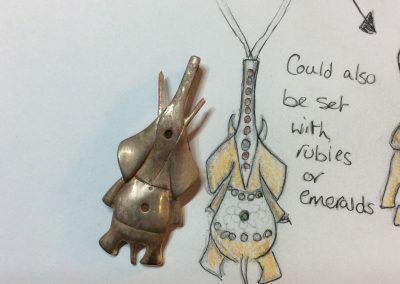 There were 2 reasons to do this, 1: I wanted the decorated saddle to be a white metal, 2: Many gems show a better colour when set in a white metal. 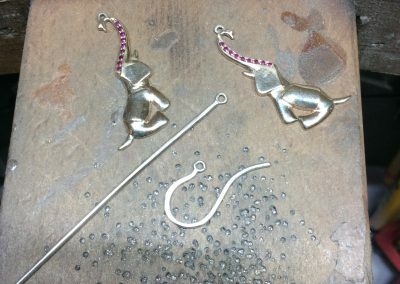 The red resist can be removed when the pieces have been rhodium plated and the pendant and earrings are then ready to wear.